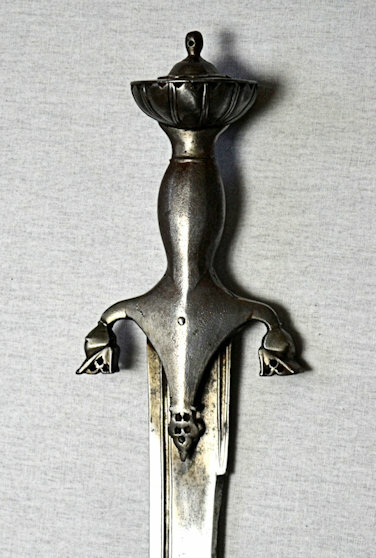 19th CenturyIndian Pulovar (sic) Sword 29½ inch single edged slightly curved blade with sharpened back edge point. 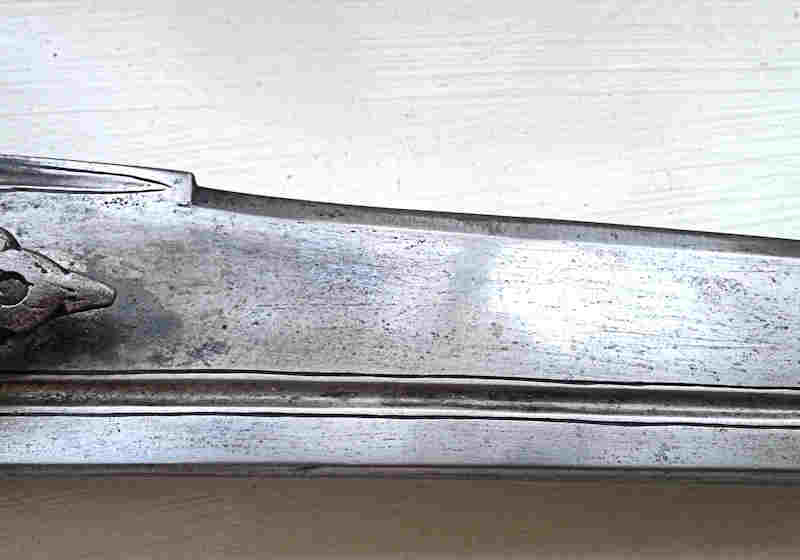 Narrow back edge fuller and short forte fuller,both with line edge decoration. 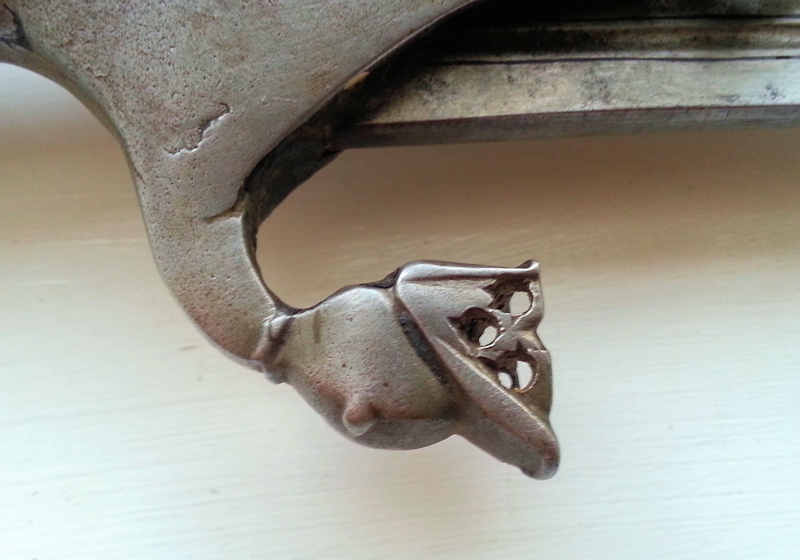 Steel animal head quillons curving towards the blade. Double pierced langets. 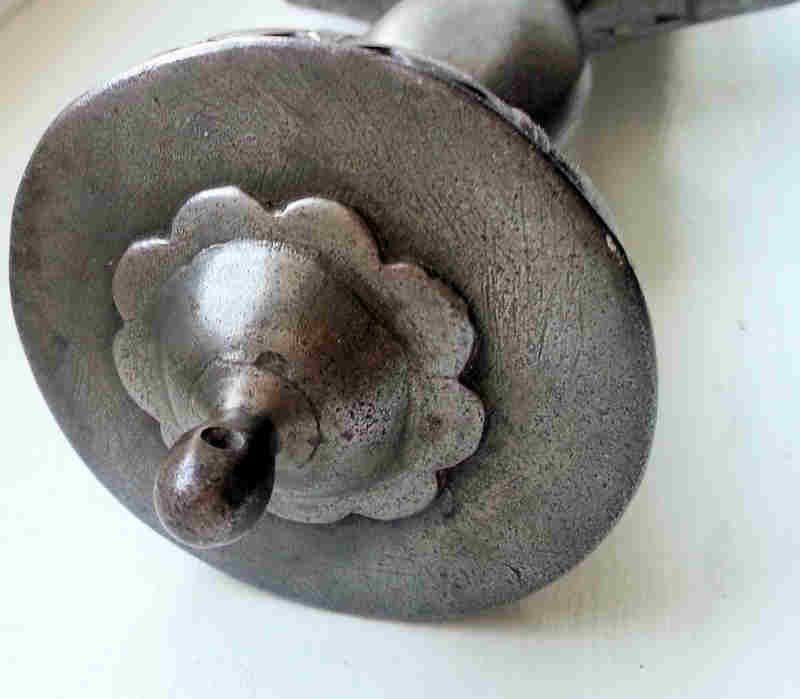 Steel hemispherical pommel with line decoration. Profile taper: 1.52'' (38.6mm) at ricasso, 1.22'' (31mm)at mid blade, 1.03'' (26.2mm) 2 inches from tip. Distal taper 0.24'' (6.1mm) at ricasso, 0.19'' (5mm)at mid blade,. 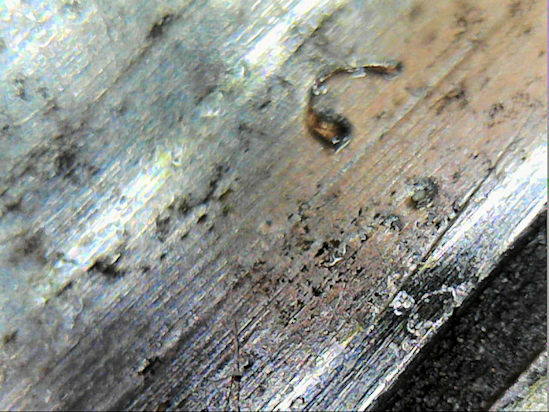 0.10'' (2.6mm) 2 inches from tip.